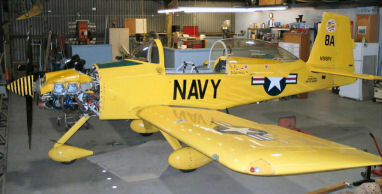 Mike Duggan's beautiful EFII RV-8A! Fuel return line installation. 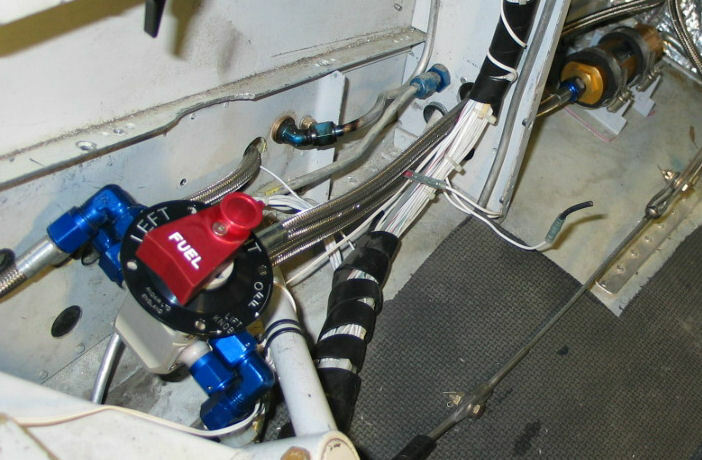 Electronic fuel injection fuel systems include a full return fuel system which feeds approx. 30 gallons per hour through the engine fuel rail at all times. The engine uses what it needs out of the supply and the unused fuel is returned to the selected fuel tank. 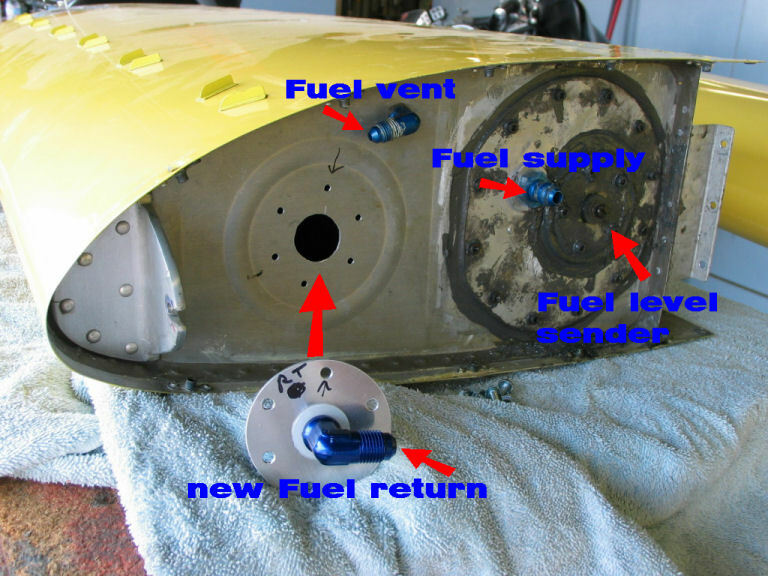 Below, you can see the installation of the fuel return into the fuel tank. Note - it is not necessary to disturb the original tank access panel which supports the fuel feed line and fuel level sender. A new 2.5" cover panel supporting the -6 return fuel bulkhead fitting is fabricated and sealed to the tank with pro-seal. The tank is simply rinsed with gasoline and drained through the sump drain fitting to clean the tank of any metal particles that may have been created during the drilling of the tank. Battery tray modification. We are installing a Bus Manager to provide a triple redundant Essential Bus to protect the power to the critical engine electronics. This requires a two battery set up. Here we have installed two Odyssey PC-625 batteries in place of the original Concord aircraft battery. The two PC-625s together have a width similar to the original battery and are a little more than an inch deeper as shown in the picture to the right. 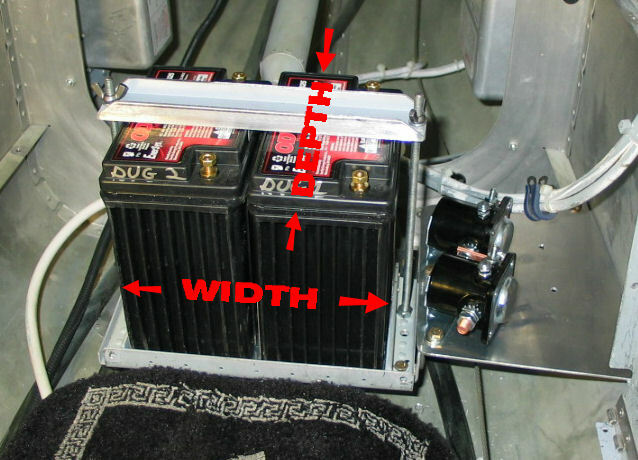 The battery tray was extended in the aft direction to accommodate the extra depth of the new batteries. The Two started solenoids that can be see in the right side will be controlled by the Bus Manager to allow engine starting from battery 1, battery2, or both batteries. The new setup requires a 4 wire control cable run from the instrument panel area back to the batteries. Now we just have to connect the existing battery cables to complete this portion of the installation. Fuel valve installation. An Andair duplex fuel valve has been installed. The Duplex valve is just two valves, one on top of the other. One valve selects which tank feeds fuel to the engine. The other valve selects the same tank for the fuel return line. In the picture to the right, you can see the (gold colored) pre-filter on the fuel feed line going to the engine. The pre-filter has a large hole (100 micron), large surface area, stainless mesh screen for filtering out large particles only. A fine hole (5 to 10 micron), high pressure EFI filter will be located in the high pressure side of the fuel system after the fuel pumps to filter out the smallest particles and keep the fuel injectors clean. Removing the mechanical parts from the engine. We have removed the unnecessary mechanical parts from the engine. To the right you can see the 25.5 lbs of parts that we won't need. We will be replacing that with about 10 lbs in new parts between the new ignition coils, dual electric fuel pumps and throttle body. This still yields a nice weight savings. 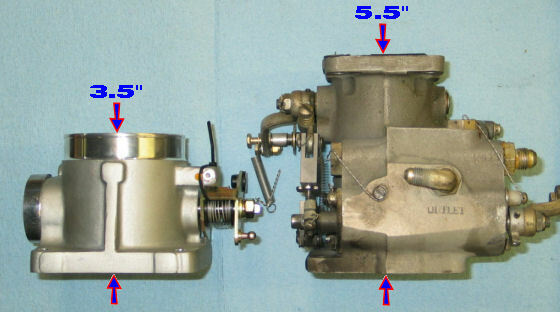 Throttle body comparison. Here you can see the old and new throttle bodies. 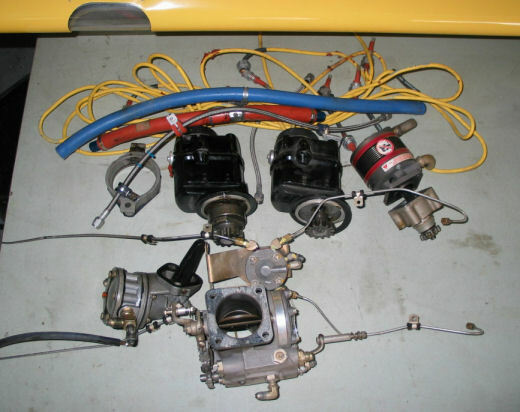 The Bendix part on the right is frequently referred to as the injector servo. The new EFII Throttle body can be seen on the left. The Bendix throttle body chokes the intake air down through a 45mm throat. 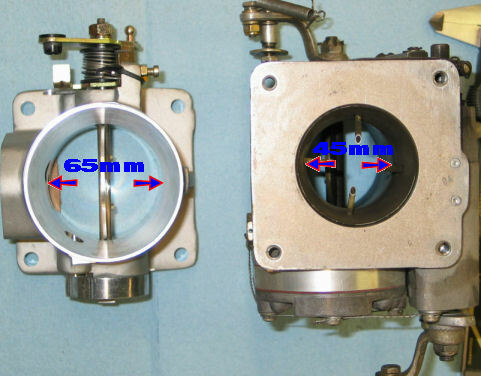 The EFII throttle body has a 65mm throat. If you do the math, the new throttle body has more than double the intake area (33.2 sq. cm vs 15.9 sq. cm). This is just one of the aspects of the EFII system that will help the engine run much better and make more power. In the pic to the right, you can see the difference in length between the old and new throttle body. The new 65mm throttle body is a full 2 inches shorter. The new Throttle body will be mounted using a 1 inch thick sump adapter. Therefore, when assembled, the new setup will be 1 inch shorter overall than the old installation. This will come in handy when fitting alternate or filtered air ducting. The RV-8A EFII installation is complete. The instrument panel has received a complete overhaul with new glass displays throughout. Mike has opted to modify his cowl inlets in a fashion similar to the Sam James cowl. This aircraft has been flying now for more than three years with its full EFII system. It still runs like a champ.